After Lucifer’s angelic rebellion 203,000 years ago, Earth and 36 other planets were quarantined from the larger Multiverse. Despite aligning with the rebel angels, Georgia--an angel of Seraphic status--was permitted to remain on Earth and continue her role as a Watcher. 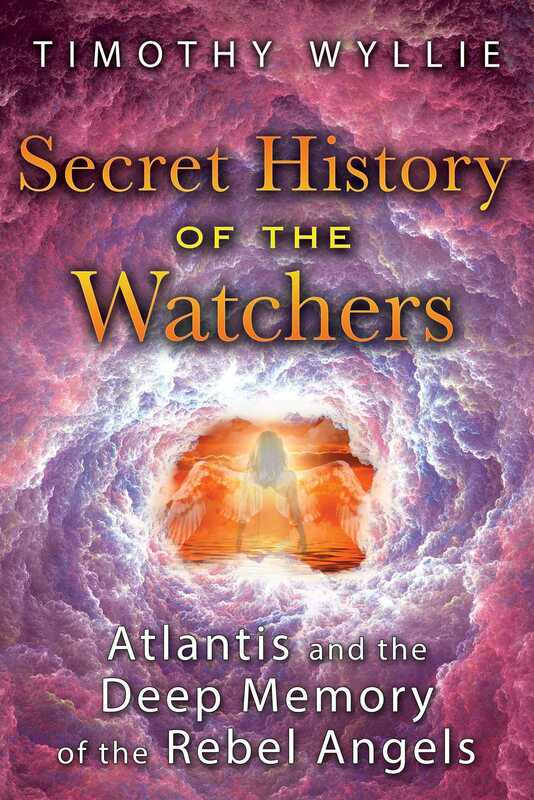 In this book, Georgia, writing together with Timothy Wyllie, shares her personal account of Earth in the 8th millennium BCE, the first era of Atlantis. Georgia shares her experiences being present as Atlantis was recovering from the first of three natural disasters that would ultimately destroy it. She reveals how the Atlanteans had become confident mariners, beginning to turn to piracy, and how Atlantean ships had reached the west coast of North America. The copper the Atlanteans mined in North America, together with tin from England, powered the Bronze Age and initiated the first truly technological civilization on Earth, making Atlantis outrageously wealthy. Georgia also shows how Gobekli Tepe was an attempt by Prince Caligastia to sabotage the planet’s electromagnetic energy grid and interfere with mortal ascension, all in order to enslave souls to an endless series of mortal incarnations. After Caligastia put this plan into action, Georgia found that 70 percent of Atlanteans were now rebel angel incarnates--the Multiverse Administration had thwarted his efforts to recycle souls. Interwoven with Georgia’s narrative of Earth’s ancient history are her observations of Timothy Wyllie’s current and previous lives, including his involvement with the Process Church and his profound near-death experience in 1973. Georgia shares her words, in part, to awaken the 100 million rebel angels currently living their human lives, most unaware of their angelic heritage. She reveals how a mortal incarnation for a rebel angel is an opportunity to redeem their past and help prepare the way for the imminent transformation of global consciousness as the rebel-held planets, including Earth, are welcomed back into the Multiverse. When I, the Watcher Georgia, encountered Prince Caligastia at Göbekli Tepe, I didn’t yet know he had recently relocated the center of his operations to Turkey. Caligastia must have heard my last thought, because he was laughing and gesturing around at the splendid circular structures beneath us while he was greeting me. I was surprised to find him at his most charming and benevolent, and I recall thinking--also probably at his most devious. Yet, as our interchange developed, I wondered if I might have misjudged him. It seemed all he wanted to do was to impress me with this new third-density manifestation as an example of his growing power on Earth. “Naturally, you will wish to know how I achieved this magnificence,” his voice in my mind rung with his renewed confidence. He was right, of course. How had he pulled it off? A moment later we were standing side by side in one of the circular, roofless chambers before one of the massive T-shaped limestone columns. A carved rock basin stood against the enclosing dry stone wall at one side of the court, gathering water leaking down from where a natural spring trickled out between two carefully shaped rocks. Three massive, freestanding, T-shaped columns stood triangulated in the center of the enclosure. I saw the Prince was now peering at a group of carved, embossed pictograms that covered the flat side of one of the columns, and it came to me he wanted me to puzzle out his cleverness for myself. Really! Sometimes the Prince could be very gauche! He was like a child proudly showing off an elaborate card trick and then urging me to tell him how he did it. I am sure you can appreciate my predicament. The Prince would be sure to know immediately if I was humoring him, yet I needed to maintain my own integrity and detachment from the Prince’s authority that I had taken such care to establish. I moved closer to the column to examine the pictograms. I squinted my eyes and traced the raised sculpted forms with my astral fingers, and as I did that, another image floated in front of me and for a brief moment I was back in the Gorge of Samaria admiring those enormous glyphs that appeared carved into the canyon’s sheer walls. As the panoramic image of the Gorge’s massive petroglyphs flickered in my mind’s eye, I came to see they had a curiously similar quality. I recalled, then, how I’d felt I was being shown that those sculpted petroglyphs in Crete were, in fact, the work of the loyalist midwayers. Then it dawned on me. It must be that the pictograms on the lintel were the sigils of the rebel midwayers. It followed that the various animal figures were more likely clan and tribe totems, with the positioning of the sigils and totems on the columns showing the nature of the relationship between the midwayers and the tribes they had adopted. In those moments I had a wholly unexpected sensation--I caught a glimpse of Caligastia’s true brilliance. Yet, while I was admiring his achievement, I simultaneously felt a wave of terrible sadness and regret that this hadn’t always been so. It frightened me. The feeling was too honest. It revealed too much. I sincerely hoped the Prince hadn’t picked it up from me. The feeling was freighted with what might have been had the Prince maintained his integrity. After all, he’d created this temple complex by getting his rebellious midwayers to stop their continual bickering and competing with one another, to collaborate on this project. This, in turn, evidently had the effect of uniting the various nomadic tribes to provide the enormous manpower needed to quarry, transport, and erect the limestone megaliths. I’d become lost in the glyphs while I was admiring some of the enigmatic midwayer sigils before I became aware of Prince Caligastia growing increasingly impatient beside me. I guessed I must have passed the test. I’d worked out the puzzle for myself, or at least enough of it to satisfy Caligastia’s vanity, because he clearly couldn’t wait to boast about how he had created this place and his plans for the future. I’d given up, by this time, any attempt to mask off my thoughts from Prince Caligastia. It took too much energy. Besides, he well knew what I thought about him. In the light of that, I was amused to see my attitude was actually provoking him to further satisfy his vanity. I knew then he wouldn’t be able to resist telling me his great secret. He was cunning, there was no denying that, but he was also compulsively boastful. It was always difficult to separate the bombast from the reality with Caligastia. Regardless, a shudder ran up my spine at his words, so perhaps I really did know what it meant. Once again I found myself fearing for the future of us all, mortal, midwayer, and watcher alike.